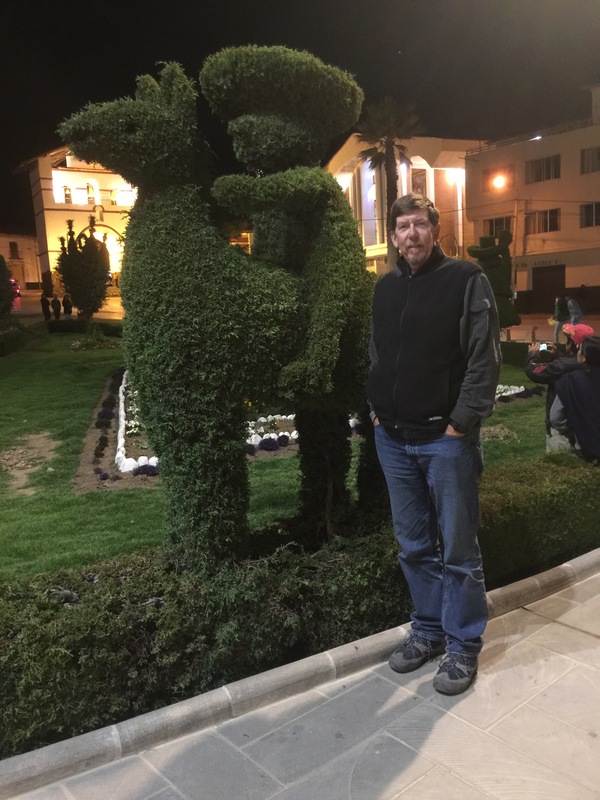 Friday we left Cajamarca and took a bus to Cajabamba. The bus was full and very warm. It was about a three hour ride. From Cajabamba we took a very full collectivo over a bumpy road to Huamachuco, about a 90 minute ride. I’ve picked up a head cold so Saturday I pretty much rested all day in our hotel room. Something I have seen several times in the past few days is women walking down the street knitting! I’ve also seen a couple of women spinning wool into yarn while walking!! 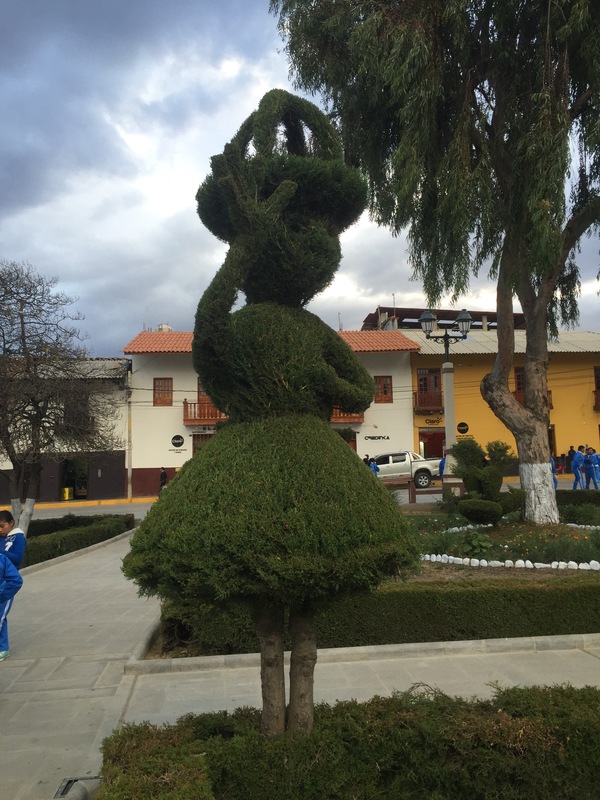 Probably the most memorable thing about Huamachuco is the topiary in the main square. Our first night in Huamachuco we stayed in an ok hotel called the Hotel Santa Fe but our room was right over the street and it was very loud. The second night we stayed in a wonderful hotel called Mama Wasi.